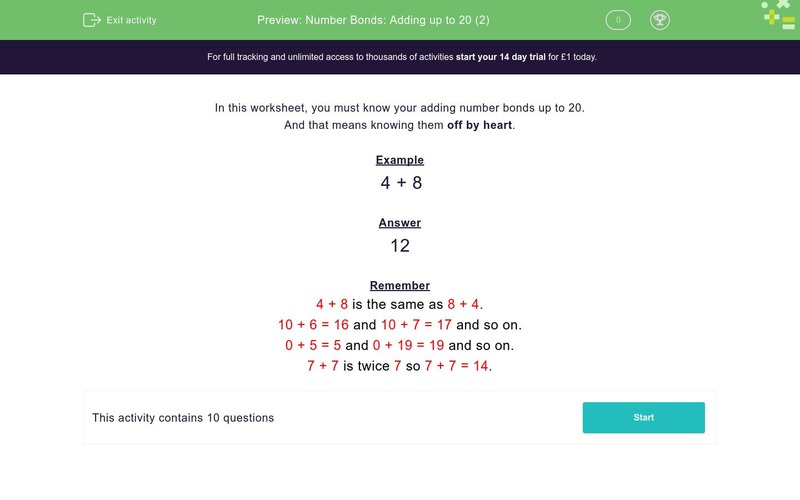 In this worksheet, students must simply know their addition number bonds up to 20. No explanations are given. In this worksheet, you must know your adding number bonds up to 20. And that means knowing them off by heart. 4 + 8 is the same as 8 + 4. 10 + 6 = 16 and 10 + 7 = 17 and so on. 0 + 5 = 5 and 0 + 19 = 19 and so on. 7 + 7 is twice 7 so 7 + 7 = 14.